Although Servals are not domestic cats, they can be domesticated and they can become amazing family members if properly trained and socialized. A Serval is a medium sized African Wild Cat. They can weigh up to 50lbs. 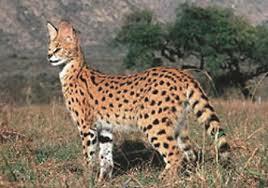 Servals have a slender build, they are tall with a warm golden background coat and large black spots. They are powerful cats with long legs and a fairly short ringed tails tipped in black. The servals have small heads in relation to their body size but they have very tall rounded ears set close together on the top of the head. They are used very efficiently while hunting and can detect rodent prey underground. Servals are extremely intelligent animals and they have historically been kept as pets in Africa. The ancient Egyptians worshiped the serval and kept them as pets. They were also used them to keep the grain stores clean dand free of rodents. Servals are extremely active and agile. They are incredible problem solvers making them notorious for getting into mischief. They require large amounts of space to run and play. When kept as pets they are reported to have the most outgoing and friendly personalities of the wild cats. They develope a very strong bond to their family, including the human members and the other animals. Melanism is a development of the dark-colored pigment melanin in the skin or its appendages and is the opposite of albinism. 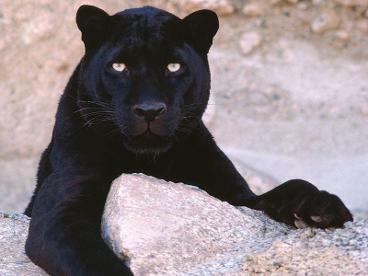 The word melanism is deduced from the Greek: μελανός, meaning "black pigment". Melanism related to the process of adaptation is called adaptive. Most commonly, dark individuals become fitter to survive and reproduce in their environment as they are better camouflaged. 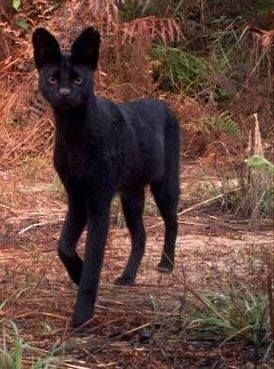 This makes some species less conspicuous to predators, while others, such as black panthers, use it as a foraging advantage during night hunting.Typically, adaptive melanism is heritable: A dominant gene, which is entirely or nearly entirely expressed in the phenotype, is responsible for the excessive amount of melanin. Melanism in leopards is inherited as a Mendelian, monogenic recessive trait relative to the spotted form. Pairings of black animals inter se have a significantly smaller litter size than other possible pairings. Between January 1996 and March 2009, leopards were photographed at sixteen sites in the Malay Peninsula in a sampling effort of more than 1000 trap nights. Of 445 photographs of melanistic leopards taken, 410 came from study sites south of the Kra Isthmus, where the non-melanistic morph was never photographed. These data suggest the near fixation of the dark allele in the region. The expected time to fixation of this recessive allele due to genetic drift alone ranged from about 1,100 years to about 100,000 years. Melanism in leopards has been hypothesized to be causally associated with a selective advantage for ambush. Genes for melanism in felines may provide resistance to viral infections. A viral epidemic may explain the prevalence of black leopards in Java and Malaysia and the relatively high incidence of black leopards and black servals in the Aberdares region of Africa. Previously, black-furred felines in the Aberdares had been considered a high-altitude adaptation, since black fur absorbs more heat. Studies reported in New Scientist magazine in 2003 also suggested that recessive-gene melanism is linked to disease resistance rather than altitude. 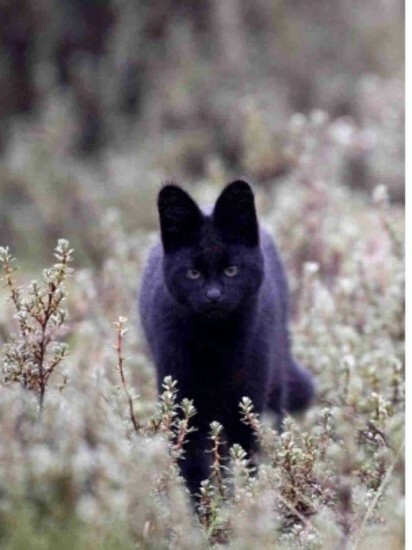 Melanistic cats may have better resistance to disease than cats with "normal" color coats. This would explain why recessive melanism persists when melanistic individuals are disadvantaged because they are poorly camouflaged in open areas. 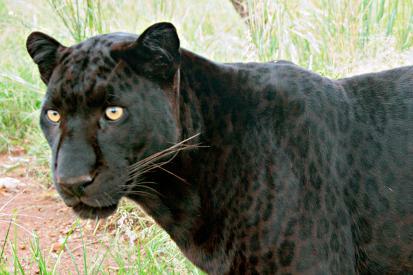 Above are some pics of beautiful black leopards, they carry the melanistic gene. You can see their beautiful ghost spots if you look closely.